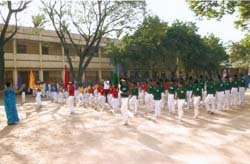 Mr. O. Arivazhagan, CEO, IIPM, was invited as Chief Guest by St. Francis Xavier’s Middle School for the “Republic Day” celebration which was held on 26th Jan 2011. 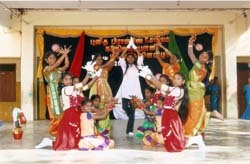 The Republic Day function was celebrated with great zeal and enthusiasm. 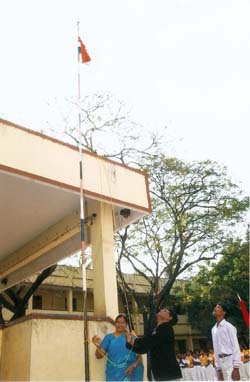 Our CEO Mr. Ari hoisted the National Flag and took the salute of the march-past presented by the students. 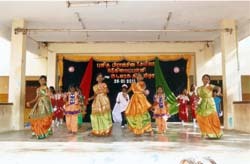 A variety cultural program, depicting the patriotic theme was presented by the students. 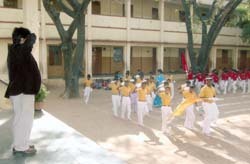 While addressing the students, Mr. Ari clearly explained about the difference between the Republic & the Independence Day. He spoke about the formation of our republic. 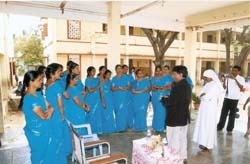 He also exhorted the students to do their best for our mother land. 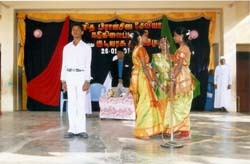 His speech added flavor with an interesting story, followed by an on the spot quiz for the students. 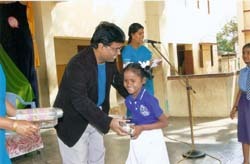 Mr. Ari awarded cash prizes to the winners of the quiz. There was thunderous applause from the students after the speech. 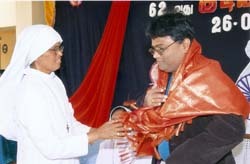 The chief guest Mr. Ari distributed prizes to the students to acknowledge & appreciate them in various fields. 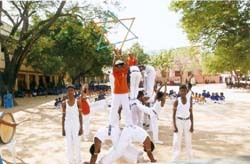 The physical teacher of the school conducted Drill & Pyramid which was executed in perfect precision by the students. 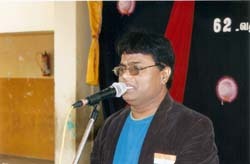 The main attraction of the Republic day function was our CEO Mr. Ari whose very presence on the stage, his choice of words and well toned voice added dignity to the occasion. 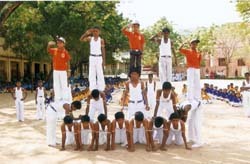 The programme drew to a close with the Vote of Thanks and concluded with the National Anthem. 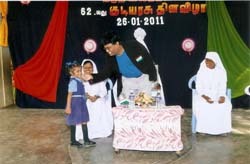 The Republic Day function was culminated with the distribution of sweets among the students.